Finding ways to care for my skin has become extra important to me as I get older. The more changes I see to my face, the more I want to gently care for my skin so that I can ensure I’ll look and feel my best for years to come. So when I was asked to partner with Burt’s Bees and DataRank for a sponsored post series on the Burt’s Bees 28-Days Face Cleanse Challenge, I was more than excited to get started. While I have been compensated for my participation in this challenge, all opinions are my own. Your face. It’s the first thing people see when they meet you. And trust me when I say that there is never a second chance to make a first impression. Being the good Southern girl that I am, I’ve always tried to put my best face forward so to speak. But the older I get, the more critical I’ve become of my face. I’ve developed the bad habit of looking for wrinkles, pointing out dark spots and just criticizing my complexion in general. Knowing that I was in a downward spiral of self-depreciation, I decided it was time to get a fresh look on, well, my skincare routine. Now, here’s the thing and I’m just going to be brutally honest for a minute. I just hit 35. I have wrinkles. I even have a few age spots that are popping up here and there. I also have a very bad habit of standing in front of the mirror searching until I find each and every one of them. I know that is just a part of the aging process. And I also know that it’s totally normal for me to not only notice changes to my skin as I get older but also to have the desire to walk around making this face so that they are pulled tightly into place and less noticeable. And while that is a quick and easy solution, I’m trying something different. 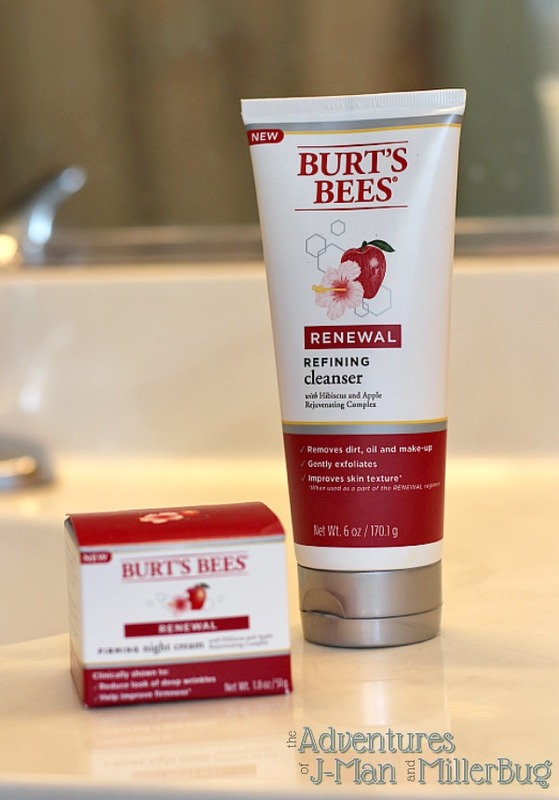 Over the next 28 days, I’ll be using the Burt’s Bees Renewal Face Care Line, which works in harmony with my skin’s cycle. The goal is to have firmer, smoother, healthier-looking skin in just 28-days. And just like always, I’ll be giving you the skinny on how it work on my wrinkles. But that’s not all! Here’s where things get really fun! This 28-day challenge is more than just a way to see changes in my skin. Now, I will fully admit that firmer, smoother, healthier-looking skin would be the ultimate prize, there are also some other amazing prizes up for grabs in this challenge. To find out all the details and join in the challenge yourself be sure to visit burtsbees.com/28days. But just to give you the inside scoop, here’s how it works. 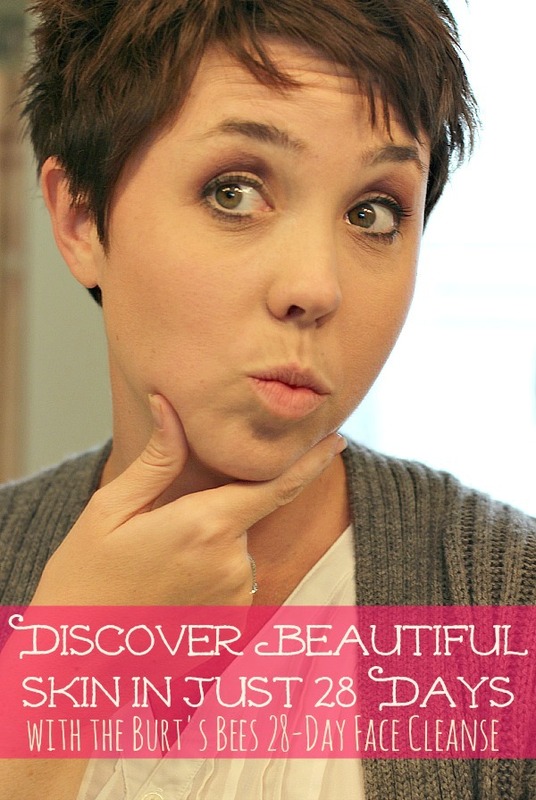 Step 1: Sign up for the Burt’s Bees 28-Day Face Cleanse Challenge. Step 2: Pick up your favorite products from the NEW Burt’s Bees Renewal Line at Walmart and use them for the next 28 days. 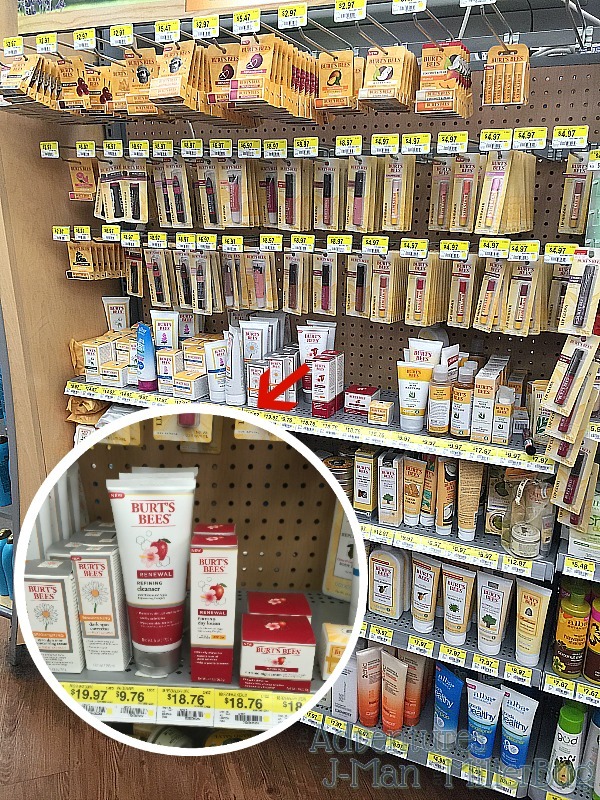 To make it even more fun to participate, be sure to pick up your coupon for $3 off any one product from the Burt’s Bees Renewal Line at Walmart here. Products include the Renewal Refining Cleanser, the Renewal Firming Day Lotion with SPF 30, the Renewal Firming Night Cream, the Renewal Soothing Eye Cream and the Renewal Intensive Firming Serum! Step 3: Share your progress on social media and follow others using the hashtag #28DayFaceCleanse. And that’s it! Not only will you have the chance to change your own skin but you’ll be enter to win amazing prizes! So what are you waiting for? Join me in the 28-day Face Cleanse Challenge today! But wait! Before you run off to Walmart to pick up your Burt’s Bees products or start making your own silly wrinkle-free faces in the mirror, remember to check back and see my progress over the next six weeks. I’ll be sharing my progress with you and letting you know my challenge results! So what are you waiting for! Go! Join! And start your journey today to firmer, smoother, healthier looking skin that you’re sure to love! I haven’t tried this product yet but now I want to. I’ve always loved all of Burt’s Bees products so I’m sure I’ll love this too. I can’t wait to try it. I was wondering if that was any good. Thanks for sharing this. Their lip product is great. These products sound like they smell good, apple is a great scent. Good luck with the challenge! Oh how I remember in my mid 30\s seeing the wrinkles come and age officially taking over. lol I was always the one getting carded til around 35 and now they don’t bother. This sounds like an awesome challenge and I will have to check it out. The coupon is a plus. Thanks for sharing. I don’t think you have anything to worry about yet by the way. It’s only been in the last three months that I really started to take care of my skin – especially on my face & neck. My mom is in her 70s and she doesn’t have a wrinkle on her face. She says by moisturizing every day, twice a day is her trick!